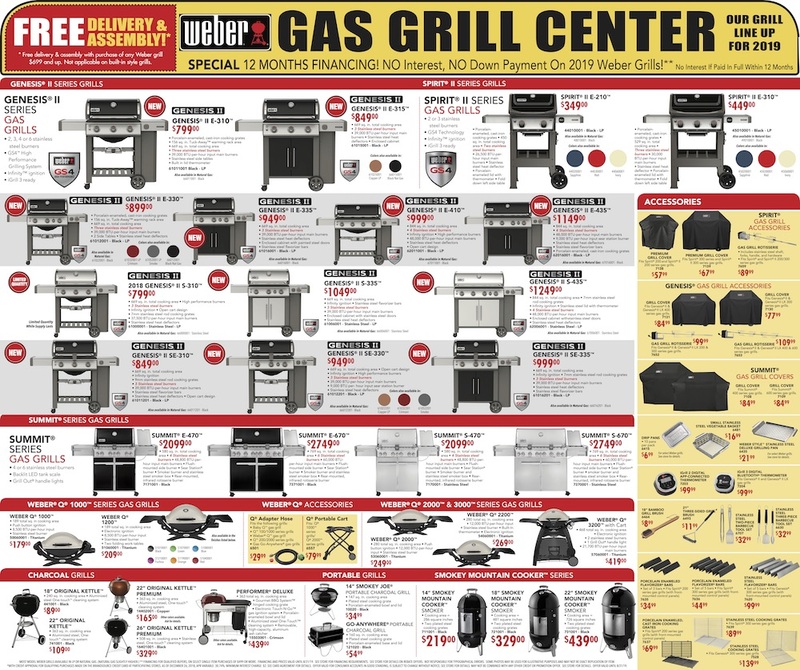 Enjoy FREE Assembly & Delivery on ALL qualifying Weber Grills, PLUS qualified buyers will receive Special 12-Month Financing. View our flyer for complete details. 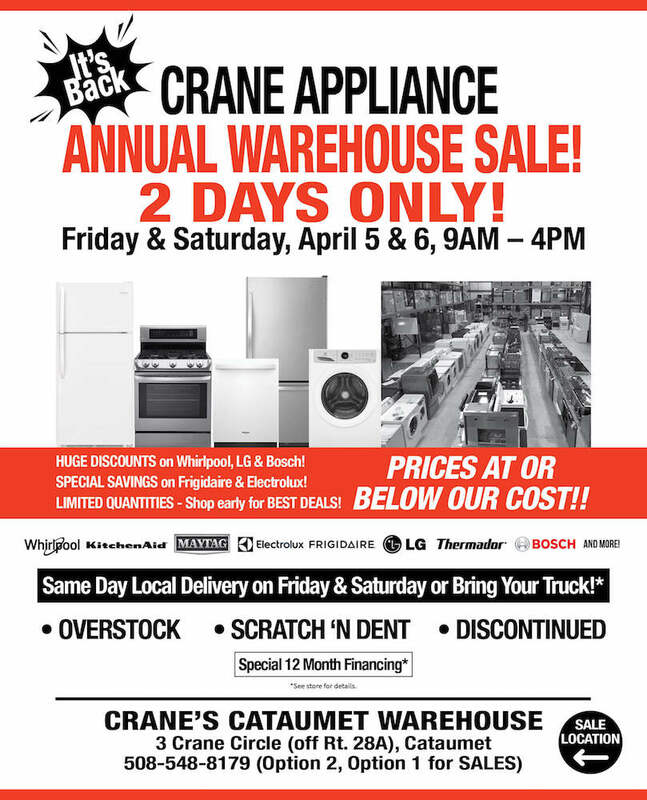 SAVE BIG at the Crane Appliance Warehouse Sale at 3 Crane Circle in Catamuet. TWO DAYS ONLY: April 5 & 6 from 9am to 4pm. View our flyer for complete details.